Later this month, mead drinkers will be able to enjoy another brand of local honey brew. In a couple weeks, Havoc Mead will join Groton's Artesano and Colchester's Groennfell Meadery as Vermont's third mead maker, says head brewer Erik Benepe. Benepe works at Groennfell and has been homebrewing beer and mead for years. "I heard about Groennfell and just called Ricky [Klein, who owns the meadery with his wife, Kelly] on a whim," Benepe recalls. "That was the day they decided to hire an employee — it just kind of worked out." 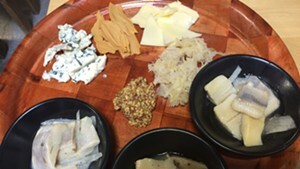 Now he helps the Kleins — who, like him, are Middlebury College grads — with production and manning their tasting bar. When he joined the company, Benepe came with a lot of ideas. 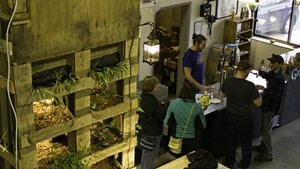 While the Kleins weren't interested in exploring all of them under the Groennfell label, their meadery's warehouse-style space offered ample room for a second brewer. And they didn't mind sharing equipment and coordinating brew schedules to help Benepe produce a mead that would keep Groennfell company on the shelves. 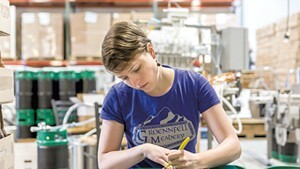 Groennfell's parent company, Vermont Craft Mead, owns the Havoc brand; Benepe helms the brewing operation, while Kelly Klein holds the reins as CEO. The relationship is similar to that of Wolaver's Fine Organic Ales, Otter Creek Brewing and the Shed Brewery: The companies are distinct brands with different visions, but share infrastructure such as space, equipment, distribution chains, and accounting and marketing teams. Both meads are intended as low-alcohol, everyday beverages, like beer or hard cider — but while Groennfell's meads are fairly straightforward, Havoc's are more experimental. "My meads are [a] little more nonstandard," Benepe says. "We're not trying to go too crazy, but the flavors are more exotic." Havoc's initial releases, currently available on draft at the meadery, are a ginger-infused brew called the Root of All Evil; and hopped mead called Bitter Bee made with a blend of hops that imparts floral, tropical-fruit and citrus notes. Upcoming sips include one made with chocolate and chiles and another with sour cherry. 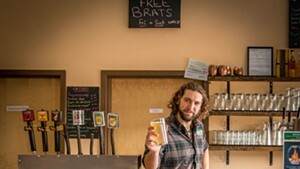 Benepe and the Kleins hope meads like theirs will bring the ancient honey brew to a more mainstream crowd of drinkers. 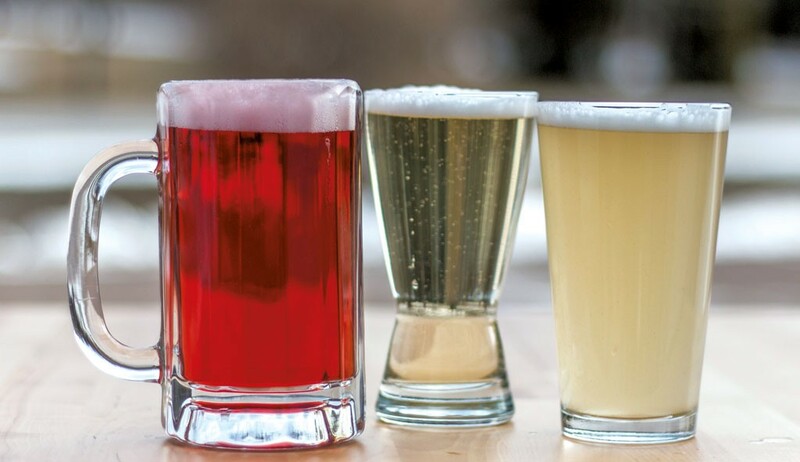 "We're creating something that's carbonated and low alcohol, and using flavors that will appeal to craft-beer drinkers," Benepe says. "Working with a hopped mead or a ginger mead — we're trying to bring it to a different audience than mead traditionally has been." Farrell Distributing will send kegs of Havoc Mead to select bars and restaurants starting in April. Benepe says he hopes to release mead in cans sporadically this summer, using a mobile cannery. The original print version of this article was headlined "Busy Bees"